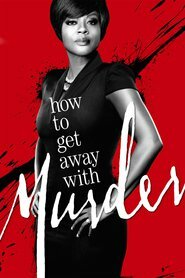 Overview… sidekick to legal powerhouse Annalise Keating. During cases, Bonnie acts as the more comforting presence when Annalise is at her most intimidating, but that doesn’t mean she hasn’t learned the art of manipulation from her boss. Bonnie knows the perception of her – mousey and frigid – and she often plays that to her advantage to get information when necessary. Personality… driven, judgmental, and observant. Bonnie may be in charge of the Keating Five, but she doesn’t have time to nurture and coddle them; she has high standards for others, including Annalise. Still Bonnie is loyal to Keating & Associates to the bitter end… even if that means choosing her job over her love life. Bonnie Winterbottom's popularity ranking on CharacTour is #1958 out of 5,000+ characters. See our top-ranked characters and read their profiles.